ArsClip is a tool that keeps track of all data entered into the Windows clipboard as you copy and paste content. Pasting is done by using a triggered popup window. 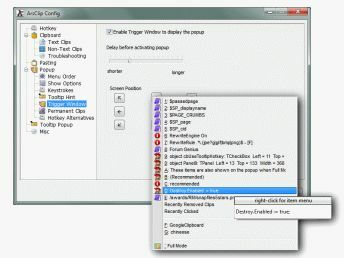 This window can be triggered by a hotkey, holding right-click, a special trigger window, and other methods.